Dunkelweisen is a style beer first brewed in Germany. In naming this beer wanted to give a head nod to the country where this beer originated. Through research we found a common thread between Germany and Minnesota; where our restaurants began... glockenspiel clocks! The name 43 Bells is a reference to the 43 bells that chime in the glockenspiel clocks that can be found in both locations. 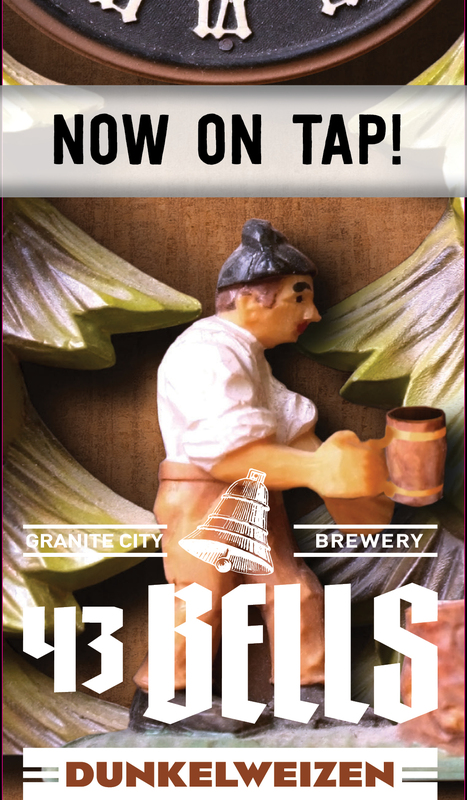 Let the bells ring and the beer flow! 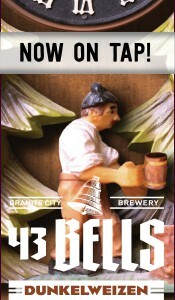 43 Bells Dunkelweizen on tap while supplies last.